Australian Open | Australian Open Mel & Syd Early Rounds | Tennis Tour Packages - Steve Furgal's International Tennis Tours ~ Experience a Tennis Trip of a Lifetime! Arrive in Melbourne, Australia's second-largest city, for the Australian Open. With such a diverse population, trams rattling through the streets, and stately European architecture surrounding you, one could easily forget you are in Australia at all. Melbourne has a reputation of being at the head of the pack when it comes to shopping, restaurants, fashion, music and the cafe culture. Melbourne has evolved into the exciting, cosmopolitan city it is today. With its attractive harbour, warm climate and the country's most exciting and vibrant cultural life, Sydney will welcome you with open arms. 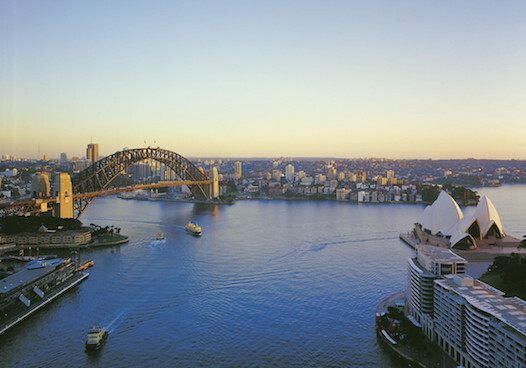 Sydney has something for everyone: miles of beaches; world-class cuisine that combines the very best of many cultures; historic pubs; city strolls; Harbour cruises; and more. Steve Furgal's International Tennis Tours is an Official North American Tour Operator for the Australian Open. Seven Sessions of VIP Category One Courtside Seats located in the first eight rows behind the baseline and ALWAYS in the shade. Includes excellent cushioned seats, private Marquee Passes and access to the Champion's Bar.